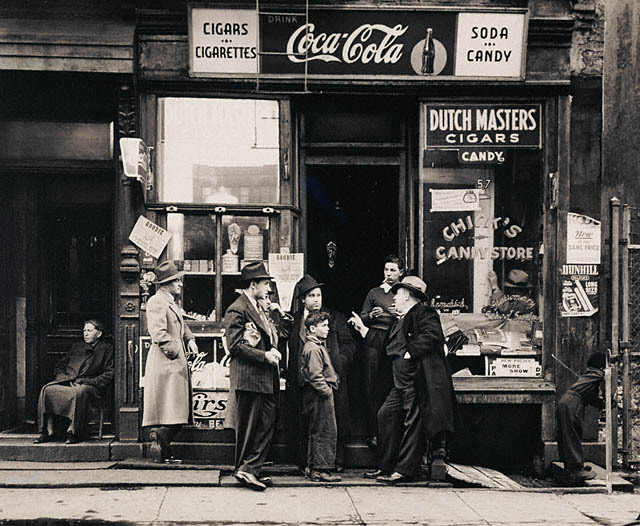 A 1938 Photo by Walter Rosenblum “Chick’s Candy Store.” It was taken on Pitt St., In NYC, NY. From HGTV, a new Youtube Channel, Homemade All sorts of misc. content for DYI. I thought it was about time to do another roundup. They take me a while, and I always try to include some goodies maybe no one else has come across. I’m rather picky – everything I list is generally free or should benefit the low-income families. Many deals are time limited- when they are over or out, they are out, so if you want them, act quickly. No proof of purchase needed for up to 10 products. Class Members who provide proof of purchase can receive compensation for more than 10 total purchases of these products. Closes – 7/14/2014 Link to File Form for Hydroxycut Class ActionIf you purchased certain Hydroxycut products between July 20, 2008 and March 19, 2014, you could be eligible for a full refund. Purchase receipts not required for up to 2 bottles. Need to donate stuff? Print out a free shipping label for your donation box – Get it out of your house free of cost! There’s a video you can watch to learn more. It goes to Goodwill. 1 Year’s Weight Watchers – From FreebizMagazines – Free Weight Watchers Magazine- 1 year (I find if I don’t ask for any trade magazines in addition to the freeby, I don’t get as many questions to fill out in order to qualify.) Most people do qualify on their site- and they don’t spam you. The magazines do come. They try to target professionals with the free trade magazines. Welcome Kit MAY include a free water bottle, EAS bag, samples of Lean 15 and Muscle Armor along with plenty of coupons. I signed up – worth a try and we do buy the bars. Oh my gosh it’s almost Halloween! One of my cats saw my keyboard cord flopping around and suddenly I had a cat hanging just by a single paw with his claws on one hand stuck in my belly. OUCH. There’s free Sheba Catfood, Tena products, and Loreal Paris Color Vibrancy samples over at the Walmart site. CLICK HERE. This one IS NOT FREE, but if you like Starbucks, and have a good friend that will do this WITH YOU, you can each score $10 in Starbucks cards for $5 each. Details of the Starbuck’s Twitter offer is here. It is still live at 5am as I am writing this. With the economy being like it is, who can’t use some free Astroglide? There’s a free sample here. Free (or nearly free) Lindt chocolate makes my day. The big bars are $2.12 and 2.23 at my local Walmart. It’s been free at some of the drugstores too- it’s a great coupon if you get the bars. This coupon is for $2.00 off. Print 2! If for some reason it shows up as print limit reached, reopen it, unclip it, then clip it and try it again. There’s a free year’s subscription to JET magazine HERE. There’s a free subscription to W Magazine at Rewards Gold. There’s a simple little survey, it’s not long. There’s a free subscription to Travel & Leisure at Reward’s Gold. Click here to take that little survey and get it. There’s a free subscription to SELF MAGAZINE at Reward’s Gold as well. Click here for it. Click here for the free 30 day trial. There’s a free subscription to Family Circle at Mercury Magazines. Click here. There survey is longer, especially if you get the free trade publications they offer, and they are geared more towards people that work outside of the home. I have got free magazines from them in the past with no bill and no spam though. It’s available here. You can use this to image your hard disk. I hope you’ve found something that will brighten today or a future day for you. I love getting free stuff in the mail and trying new things. 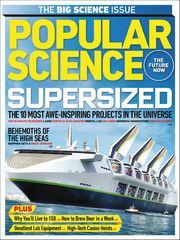 While supplies last, get a free subscription to Popular Science Magazine. There are also a few other offerings now, but most of them are digital. I’ve got several free magazines though this site, with no problems and no spam. Posted in Free Magazine Subscriptions, Free Reads! Take an easy mascara survey with a couple of quick reviews and get a free subscription to W Fashion Magazine from RewardsCountry.com. I’ve used this service several times and received the magazines and haven’t experienced any problems with spam from them. They ask for 2 mascara reviews that are 50 words. Here’s a free word count site: http://www.wordcounttool.com/ to make it easier. 50 words isn’t a lot! They do this to keep subscription numbers up. That in turn helps them get advertisers. I’m really not even sure how much they care about the actual surveys and reviews, but it’s a little thing they do to keep it from being exactly ‘free’ so they don’t have to say they gave them away. That’s the way I understand it. W is a really good magazine if you enjoy high fashion. They often have celebrity interviews and fashion shots as well. Last updated Kristi Gilleland at June 4, 2014 .